The Connected and Autonomous Vehicle (CAV) Summit was held on June 15, 2017, in Indianapolis, Indiana. 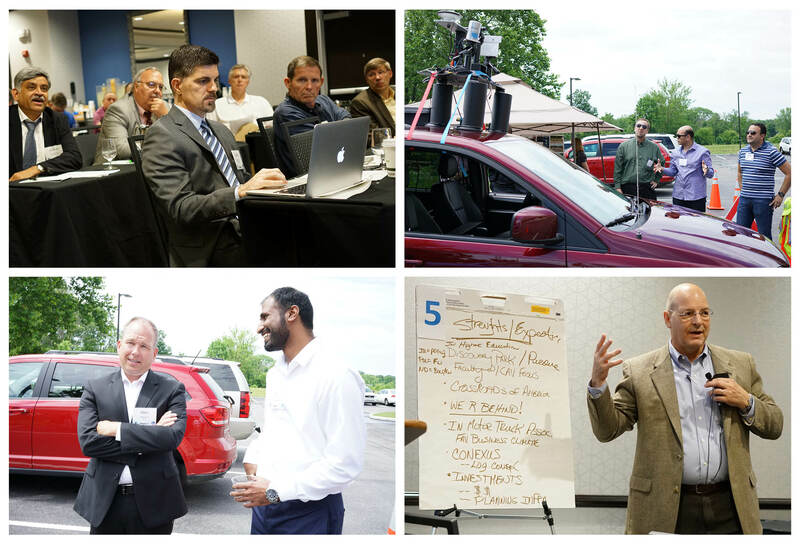 The CAV Summit provided a forum to identify strategic initiatives to accelerate the deployment of autonomous and connected vehicles in Indiana. Participants had the opportunity to engage with subject matter experts and discuss potential field deployments, policy initiatives, and research needs related to CAV implementation. The agenda, presentations and posters can be accessed via links below. The CAV Summit was sponsored by the Indiana Department of Transportation (INDOT) in collaboration with the Joint Transportation Research Program (JTRP) and Discovery Park, Purdue University.